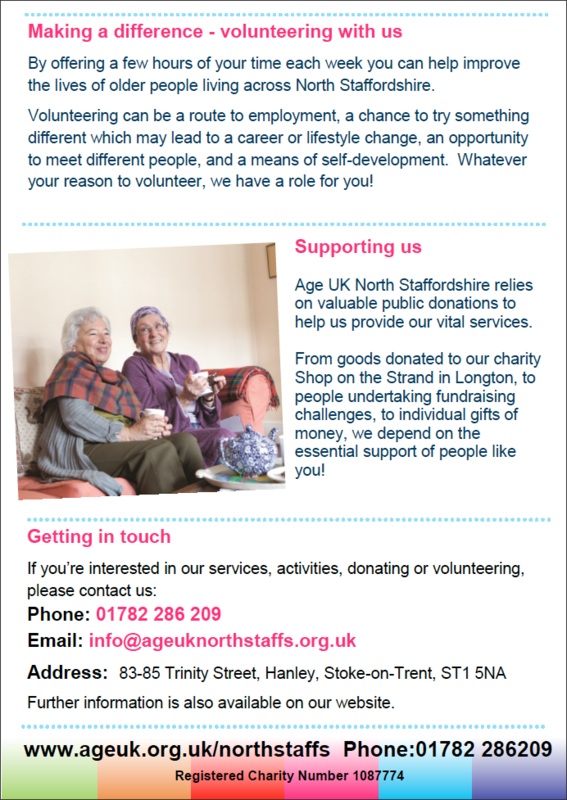 Age UK North Staffordshire is the largest independent local charity working with and for older people in the region. We believe in a world where everyone can enjoy a fulfilling later life. 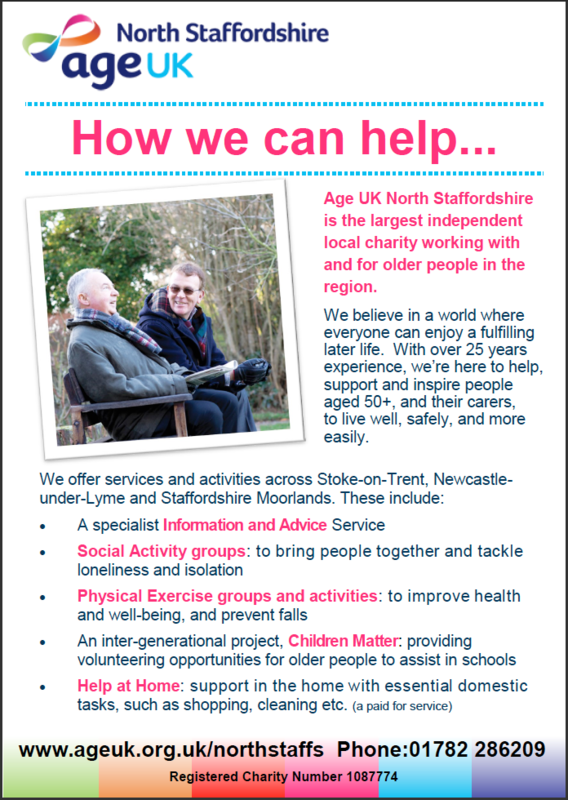 With over 25 years experience, we’re here to help, support and inspire people aged 50+, and their carers, to live well, safely, and more easily.